Yep, it’s officially Summer. However, as I write this on a cloudy June morning in Seattle, it’s 62 degrees and some showers are in the forecast. Why do I bring this up? Because this weather forecast is exactly why Marietta is worrying about her outdoor wedding scheduled for late June. Unlike in real life, I can control the weather in my fictional world of Port Merritt, so of course, I’ll make sure that everything goes smoothly as Marietta’s big day approaches. Nothing could possibly go wrong (like a little matter of murder!). 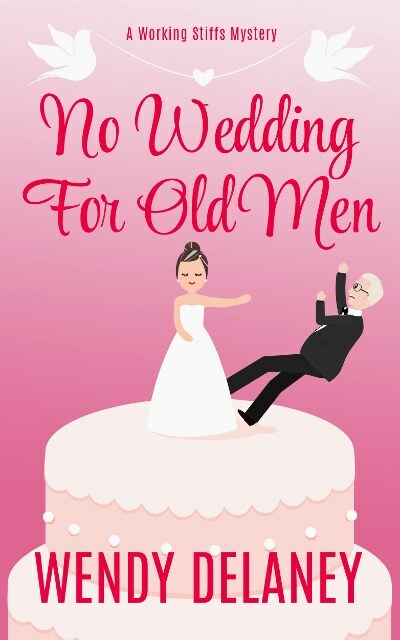 Rest assured that I’ll be turning up the heat (but not in a way that Marietta and Char will like) in the next Working Stiffs Mystery, No Wedding for Old Men. Check back later this summer for book release news and buy links. This entry was posted in 2018, Book News, New Release. Bookmark the permalink.